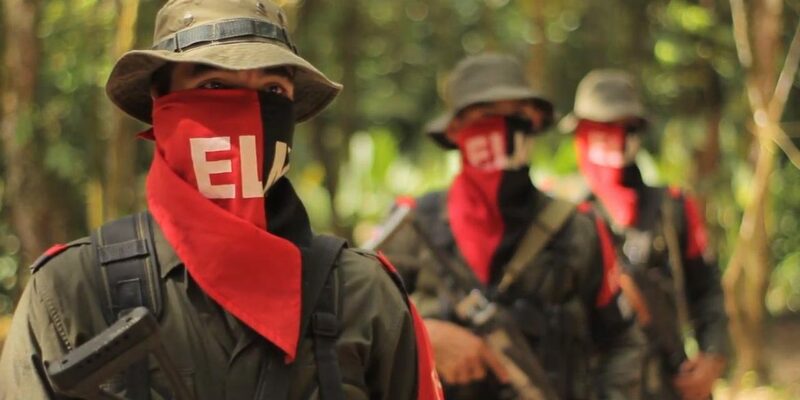 Colombia is investigating whether ELN guerrillas killed during an attack in the northeast of the country last week was carried out by at least one member of Venezuela’s National Guard (GNB). President Juan Manuel Santos confirmed that one of the guerrillas “belonged to or used to belong to” the GNB. Officials recently said both killed attackers were identified as Venezuelans. The attack happened near Cucuta, the capital of the Norte de Santander province and the most important border crossing between Colombia and Venezuela. Santos’ comments came after indications that the ELN has stepped up activity on the Venezuelan side of the lawless border region. Defense Minister Luis Carlos Villegas said last week that security forces increasingly find Venezuelan citizens are carrying out attacks in Colombia under the ELN flag. Both countries’ Ministers of Defense spoke about Colombia’s belief that the ELN is operating from Venezuela and agreed to soon meet to analyze border security. This contact has been complicated, though. Venezuela has been on the brink of the collapse after a major drop in oil prices and suffering deep divisions. The socialist government of Venezuelan President Nicolas Maduro has become increasingly authoritarian and has failed to conduct meaningful talks with the country’s opposition. The ELN allegedly has been active in the neighboring country since the 1990s. Colombia’s military believes that several top commanders of the guerrilla group live in the neighboring country.